As of today, we are making many of our previously ‘Pro’ only features 100% free for all! This change will, without a doubt, make Edublogs the best free web publishing tool for students and teachers on the web. Support – every user will be able to send an email to our support team from their blog’s dashboard to get help with any questions they may have. We’ve become famous for our support, and endeavor to reply to all threads just as quickly as we can. Well, there are some features that will remain ‘Pro’, at just $7.95 per month or $39.95 per year. These include using your own custom domain, allowing a blog to be indexed by search engines, and the subscribe by email tool. There is a complete run down on the comparison between Free and Pro on our features chart here. In all cases where we’ve kept something as ‘Pro’ only, we did so only to ensure that Edublogs remains a safe place for students and complies with the ever changing state and federal student privacy data laws. These ‘Pro’ features are all ones that if we made free, our network would quickly be filled with spammers and marketers that would hog expensive resources and potentially publish inappropriate content. Our filters are good, but we want to remain on the side of caution when it comes to privacy and ensuring student-friendly content on the blogs that we host. And for Pro users, we’ve also increased storage space on Pro from 10GB to 50GB! Edublogs Pro is not going anywhere and it will remain a quality tool that many will find worth the small cost to upgrade. We invite educators, schools, student organizations, and others to create and host their blogs and sites with us. Existing ‘Pro’ customers will keep their subscriptions ongoing, but should you wish to cancel or downgrade to the new ‘Free’, this can be done in your blog’s dashboard at any time. In short, 99% of what you want to do with student blogging can be done with our improved free offering. Professional blogs or group websites will probably be better served by upgrading to Pro. Over time, our CampusPress service has grown in such a way that we are now able to provide more for free here on Edublogs while keeping our server bills paid and our staff fed. CampusPress makes it easy to create and manage blogs, portfolios, or class websites for your entire school, district or university. CampusPress also hosts main school and district websites, all with the same user-friendly WordPress backend that folks love about Edublogs. We want to provide the best free Edublogs service possible so that more and more students and educators will be exposed to our tools, which ultimately will lead to more schools and districts looking for a CampusPress solution. You will now see a few plugins and features in your Edublogs dashboard that are labeled as CampusPress only. These are tools that are useful for managing large numbers of blogs, like Google Apps/G Suite and LDAP integration, for example. And there are a few more advanced plugins that are ideal for main high-traffic websites. If you have any questions, please contact us here, and we’ll be sure to reply as fast as we can. That being said, we’re excited! 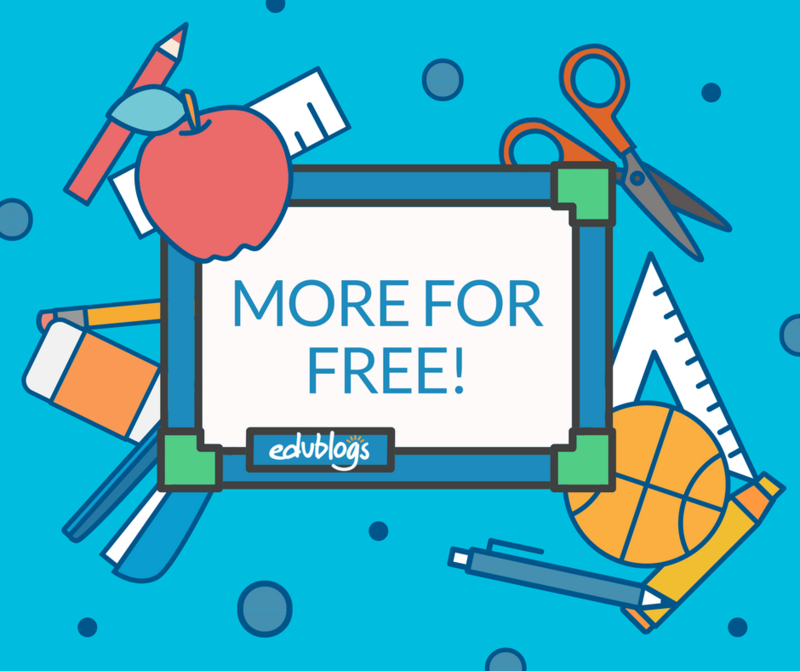 We can’t wait to see more students than ever blogging right here on Edublogs. You can signup from our homepage, or just click this link here to start creating your new free blog now. Thank you! Now I can bring my classes back to edublogs. Yay! I just paid a week ago – on board with my AP Language classes and loving it. One quick question (and the answer could very well be right in front of me, but I’m just not seeing it) – when my class ends, do the kids get to keep their blogs beyond my class? Can they convert them over to their own wordpress sites as personal digital portfolios? This is excellent. Except that I just paid for a full year for my students and a full year for my separate personal blog. Bad timing on my part. I should have procrastinated better. What’s the best way to do a blogger club in my school for kids just starting out? Thank you very much for your decision. I am an Instructor of National Academy for Computer Training and Research. Many teachers from all over the country come here for Computer training here in this institute. So, I can tell them about this opportunity. thanks, now I can re join edublogs. Wow! Thank you SO much! This is amazing news. WooHoo! This is great news! This sounds like a great opportunity for students. My elementary students have not had the chance to participate in student blogging, but I am excited to introduce this resource with them and see where blogging will take them.